View and sync Microsoft Access, Excel, Foxpro,Oracle, SQL Server or any ODBC enabled database on BlackBerry.Update data on BlackBerry. Make a phone call from transferred database. Create new database on BlackBerry. Export record to Memo Pad. View and sync Microsoft Access, Excel, Foxpro,Oracle, SQL Server or any ODBC enabled database on BlackBerry.Update data on BlackBerry. Make a phone call from transferred database. Supported Databases: MS Access, MS Excel, Oracle, SQL Server, FoxPro, dBase, and Any ODBC Compliant Database. View and sync any database with BlackBerry. Modify database contents on BlackBerry and reflect them to database. 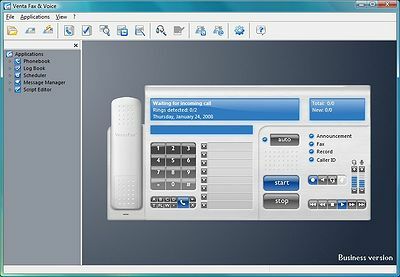 Make a phone call for the selected field's numeric contents, which will be treated as a phone number. Apply Filters, Sort the fields. Apply any SQL Select queries on database to purify records. Export database records to text files with or with out field names. View database tables: all at the same time or one record at a time. Find and Find again option to search a record. Perform Cut/Copy/Paste Edit operations in Grid View using the shortcut keys. Easy navigation through database in both Record and Grid view using shortcut keys. Create new database on BlackBerry. Import BlackBerry side database to Desktop as .csv file. Manage database in different categories. Perform operations such as Sum, Average, Minimum, and Maximum on column with numeric data.